Our Foreign Corrupt Practices Act Lawyers Help Clients Nationwide to Avoid Costly Legal Mistakes. Nationwide Help – Free Initial Consultation. Call 1-866-601-5518. The dealing with the civil or criminal legal system can be intimidating. Many corporation and individual defendants will accept liability and a criminal conviction and simply serve jail time. Yet, frequently. when a criminal case is reviewed by an experienced FCPA lawyer, potential reasons for the unlawful result are uncovered. The litigation and appeals process is designed to allow you to examine the government investigation process and make sure that errors are found before litigation and verdicts are issued. The government has every right to make sure that procurement regulations are followed and that other regulations for different industries are followed. However, the government does make mistakes that can ultimately tread on your constitutional and civil rights. If you are subject to a government investigation or charged with violations of the Foreign Corrupt Practices Act, proving your innocence can be difficult. By contacting the FCPA lawyers at Watson & Associates, eliminating the problems up front can save significant amounts of time and lawyers fees. Our goal is to protect your rights while developing the most cost-effective way to get to a favorable result. Schedule a Free Confidential Consultation Today. The FCPA defense process begins with knowing how the court system works and using it to the clients’ advantage. 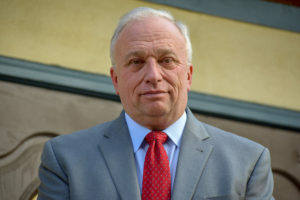 At Watson & Associates, our top FCPA lawyer, John Scorsine, has more than three decades of federal litigation and criminal defense experience. He is even admitted to the US Supreme Court. When individuals or corporations are facing criminal liability for government corruption whether at pre-indictment or post-indictment stages, we help to minimize the impact and deal directly with government attorneys to resolve the matter in a more favorable fashion. Schedule a FREE Initial Consultation. Call 1-866-601-5518. What is the Foreign Corrupt Practices Act of 1977? The US Foreign Corrupt Practices Act of 1977 or Federal Corrupt Practices Act deals with any person who possesses some certain degree of intent while he or she engages in foreign corrupt practices. Also, the FCPA to applies to American businesses and foreign entities that trade securities to the United States and engage in anti corruption activity. How Does the Federal Government Prosecute FCPA Cases? The U.S. Department of Justice (DOJ) has jurisdiction over criminal FCPA prosecutions, and the Securities and Exchange Commission SEC handles the civil cases for prosecution. 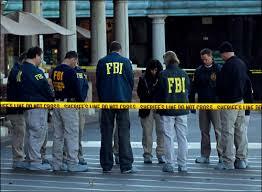 Nevertheless, each individual agency performs its own investigation but they do share information. What are the possible criminal penalties for FCPA violations? Your company can be liable for fines up to $2 million for FCPA violations. For an individual, he or she may be fined up to $100,000 and sentenced to up to five years in prison for an FCPA bribery violation. For FCPA accounting violations, each count carries a maximum fine of $25 million for business entities and a maximum fine of $5 million for individuals. An individual may also face up to 20 years in prison for each accounting offense. FCPA penalties not only can end up with criminal or civil liability but the amounts for FCPAlation can be extremely high. The Department of Justice (DOJ) and Securities Exchange Commission (SEC) work hand in hand to enforce anti-corruption regulations and FCPA laws. Civil penalties include fines of up to $10,000 plus an additional fine not to exceed the greater of the gross amount of pecuniary gain or a specified dollar limitation ranging from $5,000 to $500,000, depending on the level of the FCPA violation. Individuals or contractors doing business federal government can be suspended or debarred. The Anti Corruption law sanctions and compliance penalties for Foreign Corrupt Practices Act violations can be significant. The SEC often brings civil enforcement actions against issuers and their officers, directors, employees, stockholders, and agents for violations of anti corruption or accounting provisions of the FCPA Act. Contact us online or call our FCPA lawyers for immediate assistance if you are looking to find corruption lawyers for legal criminal defense with Federal Foreign Corrupt Practices Act matters. Call government Anti Corruption and the best Foreign Corrupt Practices Act defense lawyers at 202-827-9750 or Toll-Free at 1-866-601-5518 for a free initial consultation.